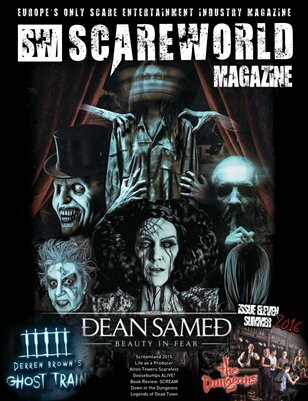 Scareworld is Europe's first and only magazine dedicated to the scare entertainment world. Launched in October 2010, and published by the UK's leading scare entertainment company, AtmosFEAR! Entertainment Group, Scareworld delivers news, reviews, and features covering all areas of the scare entertainment industry.